Sapa Heat Transfer manufactures rolled aluminium products for the global heat transfer industry. The company has about 1,500 employees worldwide, with the majority based in China and Sweden where its two largest factories are located. Sapa Heat Transfer’s products are used in a range of applications including radiators, heaters, oil coolers, charge-air coolers and air-conditioning systems. 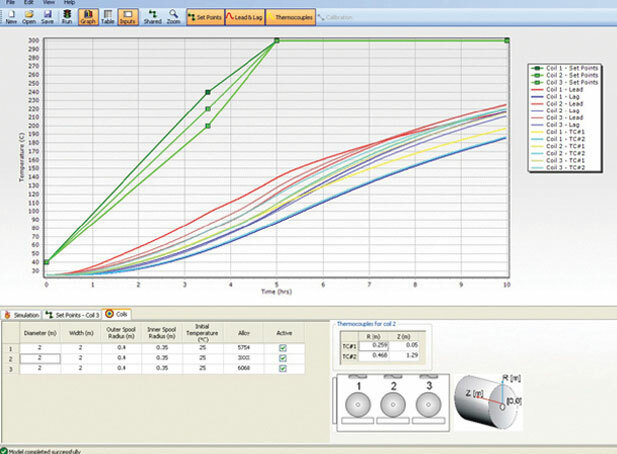 The process development team at Sapa Heat Transfer has been using both the Innoval Ingot Preheating Model and the Innoval Coil Heating Model to give them a thorough understanding of their furnace operations and how they could optimise them. The team wanted to ensure uniform heating throughout the ingot/coil in as fast a time as possible, whilst maintaining the maximum-minimum temperature range as small as possible. Our suite of aluminium rolling process models are, in our opinion, the most accurate available to the industry today. This is because, alongside the physics of the process, they incorporate the comprehensive knowledge and understanding of aluminium that is unique to Innoval. As a consequence, our rolling process models are able to calculate parameters that are less well known to the user, such as roll gap friction. The team at Sapa Heat Transfer developed new operating practices after using our rolling process models to optimise their heating processes. Andy leads Innoval’s process cost modelling activities and furnace modelling activities. He also devised and manages Innoval’s LRQA-certified ISO 9001:2015 business management system. The correlation between the models and our physical measurements has been very good. They’ve certainly saved us time and disruption during furnace optimisation projects. I’ve found the models easy to use too.